What is the best age to start a horse? 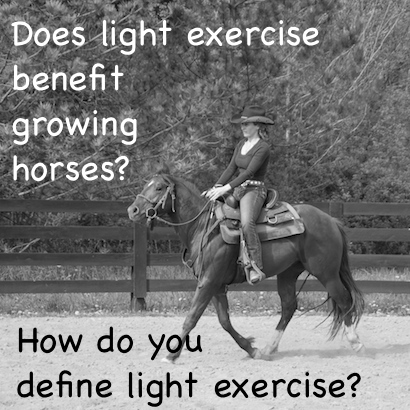 Does light exercise benefit or harm growing horses? Thank you so much in advance for an advice you can give.” H. H.
Ugh-oh…I don’t think I should get in the middle of a mother daughter thing, lol. The easiest and best way to be comfortable with it is to ask your vet when he/she is out for another call; shots, etc. They can give you the best advice because they can see and touch the horse. Jac was two when I started him in the videos and I am watchful when I work with any horse. I look at it very much like my own children. I want my kids to be active because they need some stress for muscle and bone growth too…but I’m not drilling them for hours every night either. ← How often do horses surprise you with how intelligent they are? I believe that every horse is different and we should adjust their ‘start’ to fit their needs. I have a 7 month filly that is a showmanship machine, is ready for trail-in-hand and responsive in the round pen. No, I don’t spend hours a day hammering in her joints or making her move. Yes, she does get training 4+ days per week. If she tells me she’s ready at 2.5yrs, we will work with a professional to start under saddle. She will likely have 10 days of work and then a couple days off before I start rotating groundwork and riding days. I fully expect to canter her in those 10 days, and to help her learn her pivots and leads (under saddle) in her 2yo year. If you prepare a horse properly on the ground and work closely with your vet to address your horse’s readiness as an individual, I have seen many a great show horse started by people who weigh more than 80#. I won’t ever weigh less than 170 and I fully expect to start my paint. Just another perspective. While this can be a very controversial subject depending on who you talk to, I will share one simple fact I know to be true which helps in guiding me as I train the young ones. The fact is that the last growth plates to close on a horse are in the spine, right where we sit! Most commonly it is the legs/knees that are x-rayed to determine readiness but while that is important it doesn’t give the complete picture. While horses are like children and grow at different rates and in different forms, it is an average that the spinal growth plates in a horse will close between 5 and 7 years of age. This is where the controversy comes in. People want to start them earlier because they want that financial return on their investment. Horses are a business for many – a fact of life. While I understand that, I cannot help but argue that the horse may very well give them a larger return on that investment by allowing the animal’s body to fully mature to where it is more able to perform the duties asked of it for a longer period of time. With that said, I prefer to use those early years to create incredible horse citizens with focused ground work, manners training and desensitizing. The early years are for a horse to learn to be a horse while learning about the human world. To have a horse that is a respectful, confident, strong partner is the golden ticket for me. My young ones are worked as individuals, not according to some written in stone plan. At first it may only be once a month depending on how quickly they learn and how much they retain. The important thing is that they are allowed to grow and mature. Simple backing may start around 2 but that’s about it – on, off and stand. Simple things are added to install buttons and cues but there is little actual movement. Around 3 I progress to movement and connecting the previous dots. This is all done with a very light rider as to put as little stress on the spine as possible. I, too, believe that a certain amount of work is good for growth and strength both in muscle and bone so I keep that in mind as we go. At about 4 the horse is usually ready for light trotting and beginning canter, again with a light rider. The 5th year will typically see more strength building and a refining of cues. In the 5th year there will be more still, but it won’t be every day or even every other day. If the horse is learning well I see no reason to senselessly drill and sour the horse to its work. A happy horse is key here for me. While my method may have others rolling their eyes at me I can say that my current success speaks for itself and I can optimistically look at many years of enjoyment out of my horses as opposed to retiring them in the early teens because they ache so bad from premature starting that they are truly miserable. As a horse lover/owner/caregiver it is my responsibility to keep their best interests in the forefront of all I do. God entrusted these animals to my care and I do not take this responsibility lightly. Carol, thank you so much. We love our horses and are planing on keeping them their entire life. So I find you info very helpful. Do you know where I would find a detailed training schedule. Our filly will be 3 this fall and has been saddled, a 80# rider, and only walking in the training pen for about 15 minutes about once every 2 weeks. Hoping we are doing just enough to keep things fresh in her memory but we need a really detailed training schedule for this amazingly willing horse. Thank you again. Hi Cindy 🙂 There shouldn’t be a detailed training schedule because your horse is an individual. There will be times when your horse is learning faster or slower, developing faster or slower. You have to read the signs your horse is giving you and go by those. However, I personally think that if your baby girl has a good head on her and learns quickly you could be doing a little more strengthening work in preparation for more riding. Horses are big which gives the illusion that they are automatically strong but that is incorrect. To do what we ask of them requires them to be athletes and being athletic requires conditioning. Congrats on what you have accomplished with her so far 🙂 At this point I would look back on what has been done with her to make sure there are no training holes as far as ground manners, longing cues. I would work with her on the ground with trail obstacles – get her focusing on you and make sure that partnership is solid. Because she’s a mare, she’d heading into a important transition time. Mares typically get that ‘attitude’ as they are typically the boss in a herd. In my relationship with my own mare I think it’s great that she is the boss when it comes to my gelding, but when it comes to me she needs to know, and does, that “I” am the boss. This is a time for boundary testing and you must make sure those boundaries are clear and consistent. This only serves to strengthen your relationship and help as you progress in training. At this age, it’s a good thing for the horse to spend more time working with people for the reasons above. The horse doesn’t need to be ridden to be exercised. You can longe the horse and get it used to knowing where it’s feet are and how to use them properly at what time. Longing will help build up that muscle and get the horse focusing on you. As the horse gets stronger I suggest upping those rides from 15 minutes every 2 weeks to 15 minutes 2 times a week, then 3 times a week and The horse needs to develop a work ethic and this is how it starts, by working. With my own girl who just turned 4 I have her on a light riding schedule of 3 days on and 1 off so she gets a break to think about what’s going on and at the same time is developing her work ethic. We have just started cantering her and her balance is great because she had that ground work to build muscle. She’s calm and looks forward to our time together because I’m fair to her baby brain and give her time off to be a horse, too. 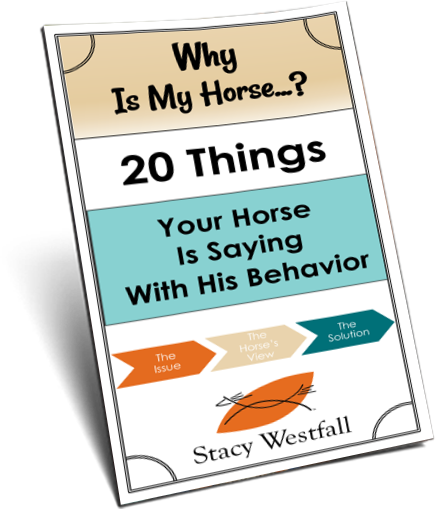 Read as much as you can find about horse psychology and listen to your gut. Great post Carolt!!! Wish more people shared your philosophy! Sadly in the industry they are started much too early. Check out the above link I came across on FB. A 15 month old filly under saddle, so sad!!!! Hi, Stacy. What about this article, written by Dr. Deb Bennett? I have spent much time contemplating this question as I have two three year olds I am starting now. I am interested to hear what your thoughts are on this article. Kim- I have read the article before but only skimmed it this time (still at a horse show). I am sometimes frustrated that the racing industry seems to be the only one studied when ‘starting horses young’ is studied. I know many, many horses that were started young and are still going strong in their twenties or longer. I don’t know a single reining horse that is swaybacked…although I have seen them in other breeds and don’t know the history. It seems like there should be some difference (when considering the study) between light riding and race training. Maybe I need to re-read the article, but I sure do wish there was a study of horses that were in a more common situation. 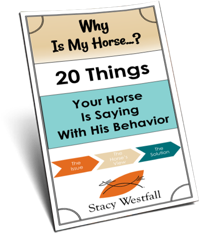 What do you do when your horse isn’t enjoying the job you’re asking them to do? I work for a rodeo company during the summer pushing out the performance cattle, and I can just tell my horse isn’t into it. When they trip the latch it will get his attention but after a couple of seconds he’s distracted. When I ask him to go get the calf he will do what I ask but not quickly like he wants to get after it, he goes at a lesiourly pace and when he gets on the calf all he wants to do is smell it lol. And he would always much rather be at the trailer then in the arena, like if we get close to the gate he would rather go out it, I don’t let him but he tries. I’m almost afraid he doesn’t want a job? I’m thinking about trying him out at some of the foundation shows that my friend goes to, to see if he likes any of those things better, but honestly I’m not sure what to do. Do some horses just want to stand out in the pasture and graze their whole life? I’m having problems getting him to pick up his right lead. I’ve tried to force/set him up for it but after one or two times of doing that he gets pretty upset about it. He tries to not turn his head towards the fence or rears up a little. Nothing serious but I don’t want to stress him out too much about it, I’m only chasing cattle so I feel it’s not that important. Unless I want to show him then I need him to take it when I ask. He’s 18 so I think he knows what he’s being asked he just doesn’t want to do it. And he will pick it up randomly sometimes but I don’t think I’m doing anything differently when that happens. I feel like I’ve done everything I can think of. Any of this you can help me with I would really appreciate. I think I’m just kind of stumped at this point. I didn’t realize how long that post was, lol sorry!